A floral design that is just as poised as the Duchess of Cambridge herself. 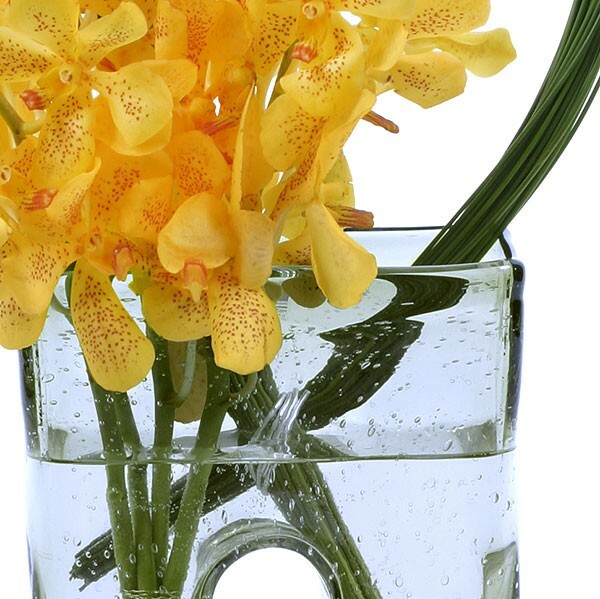 Yellow mokara orchids are artfully arranged in a heavy-duty glass vase with visible air bubbles to add texture and dimension. 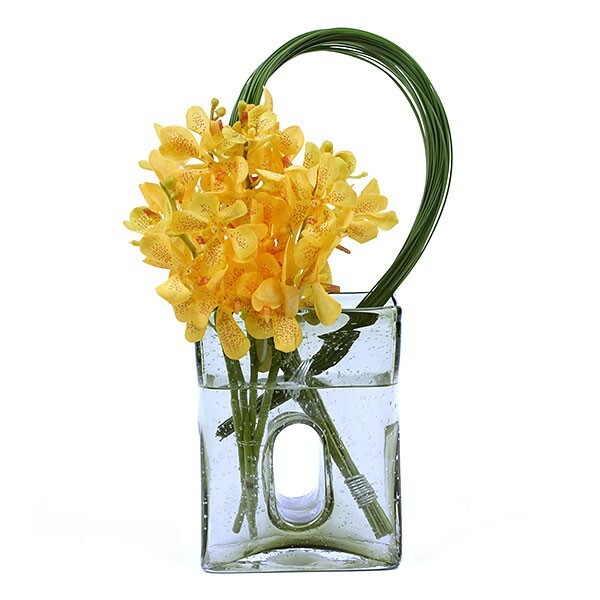 The vase was designed with a hole in the center to make sure your flowers always fall the correct way when they are placed into it. Middleton will make a statement no matter where it is placed. A modern arrangement fit for royalty. 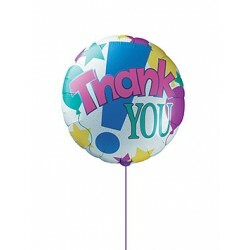 Get a FREE Manhattan delivery for orders over $100 by your local NYC Florist, Plantshed.com.